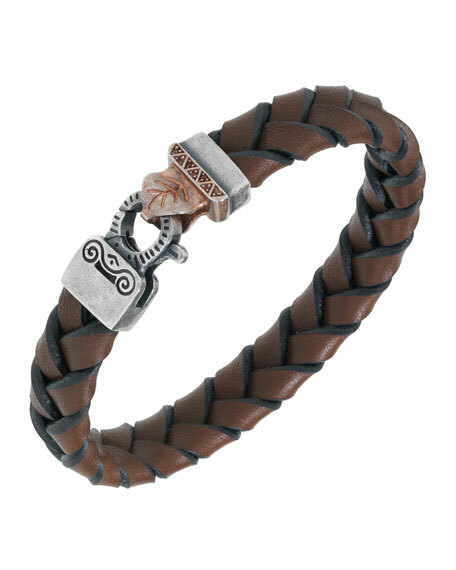 Marco Dal Maso men's woven leather bracelet. Oxidized sterling silver with orange sapphires. Woven leather frame with lobster clasp. For in-store inquiries, use sku #2643536.